Chilli, or pepper, sauces are many and legion. In fact, there are flipping thousands of them. There are collectors, there are clubs. I'm not kidding – people actually travel around the world in search of new and diverse sauces for their bookshelves. Seriously. I reckon that any chef ought to have a few in, to be honest. 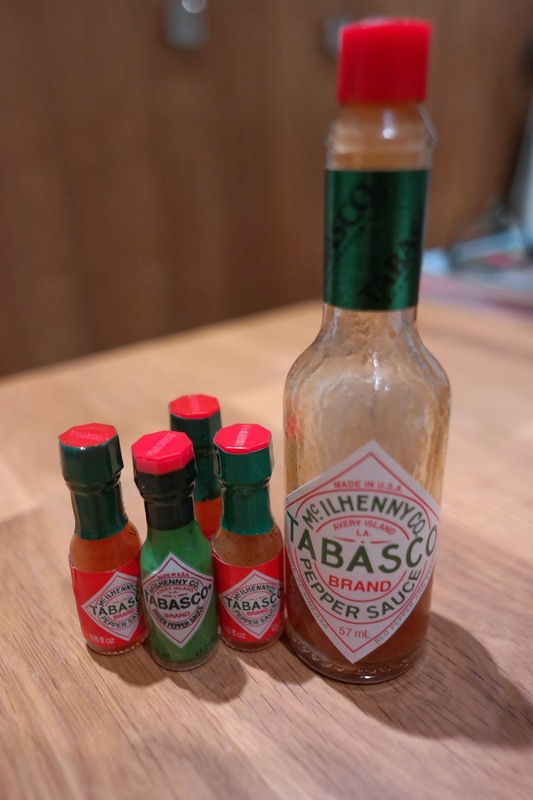 It's completely wrong to think that Tobasco can cure all ills – you need a range, with different flavours and styles. 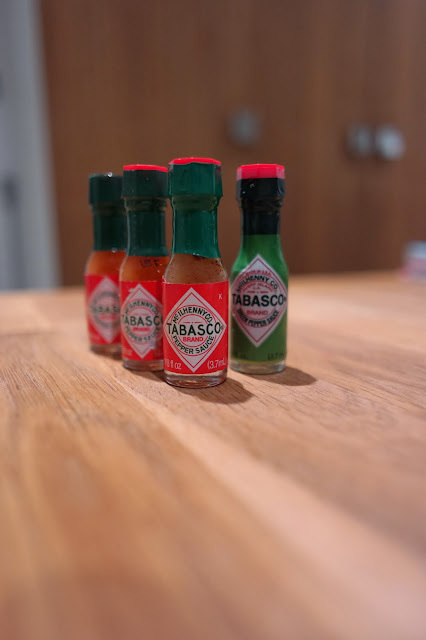 Tabasco first. 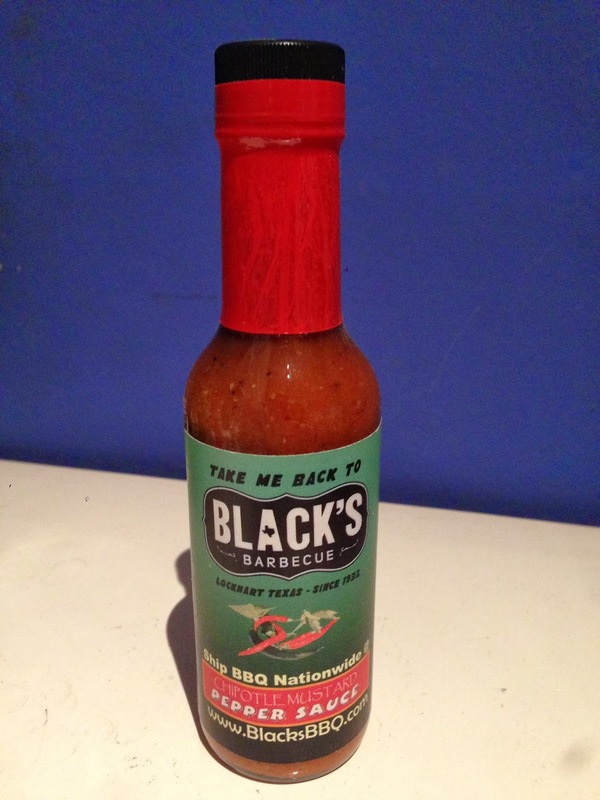 Bloody good stuff, and the standard by which most sauces in the UK are judged by. It's from Louisiana and, as such, perfect in creole-American cooking, like jambalaya or gumbo. Also, it's the mainstay of a bloody mary – seriously, accept no substitutes on this front. 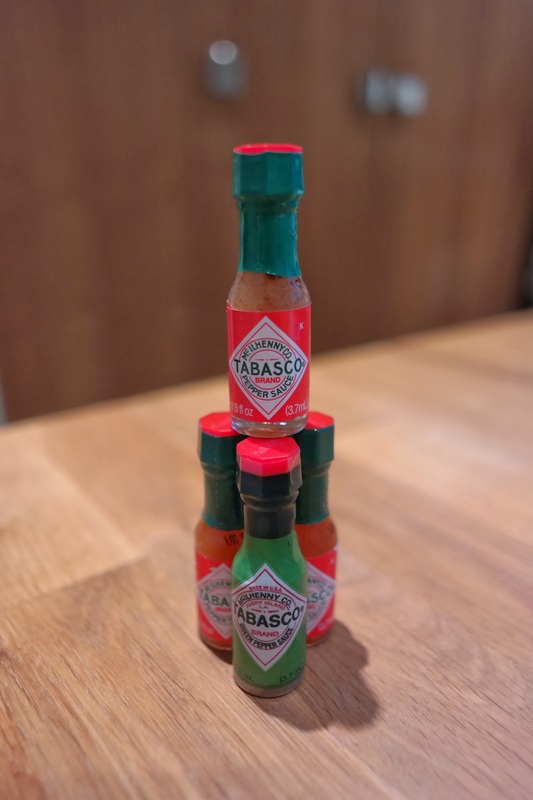 Just as an aside, should you find yourself in Louisiana and able to pop into the home of Tabasco on Avery Island, I strongly recommend it - a fun day out, and a wicked gift shop that's almost more entertaining than the tour. However, much as I love the Louisianan hot stuff (and it is hot) it just doesn’t cut the mustard as a one-size-fits-all sauce. For starters, I understand that the production process is little more than macerating peppers in vinegar. As good as any other method for extracting heat, it sadly leaves the sauce very sharp and, well, vinegary. For a one-size-fits-all sauce I prefer Marie Sharp's. It's a Belizean classic, and too much time in that country has left me utterly dependent on it as a chef. It's habanero based, so hot, although it handily comes in different heat levels. Sadly, they don’t import into the UK, although the internet can find and provide if you're interested. 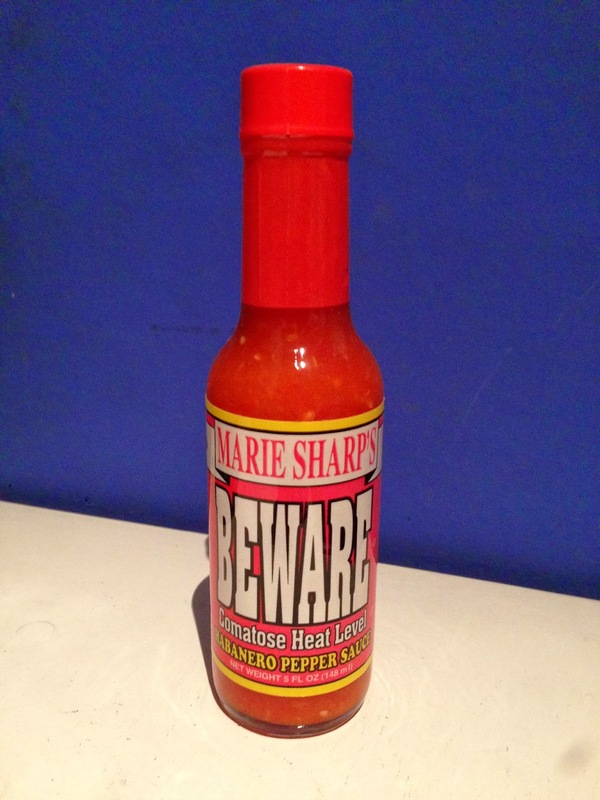 Marie Sharp's does an amazing range – from 'Mild' (still bloody hot) through to 'Fiery Hot' standard sauces, and then progressively hotter 'novelty sauces'. 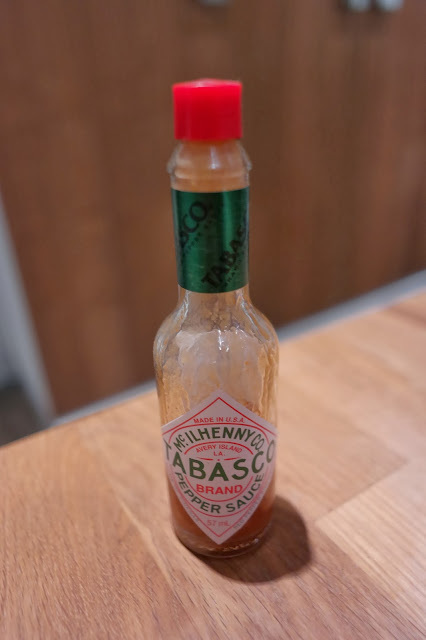 Her sauces are predominantly carrot based, so you don't get the vinegar flavours you get off Tabasco that can really infiltrate whatever you're eating - the plus is heat without an overpowering taste. They also have a number of fruit based sauces, including a fantastic grapefruit pepper sauce. Also, and for me an essential for the kitchen, they do a green pepper and prickly pear sauce, which I think is perfect for guacamole as it's a bit lighter and fresher, whilst still being fiery. I have also had the great honour of spending some time at Marie Sharp's factory in Belize, now about 10 years ago. Marie was there herself, a great (if elderly) lady who has become a national sensation just by growing peppers and making sauce. 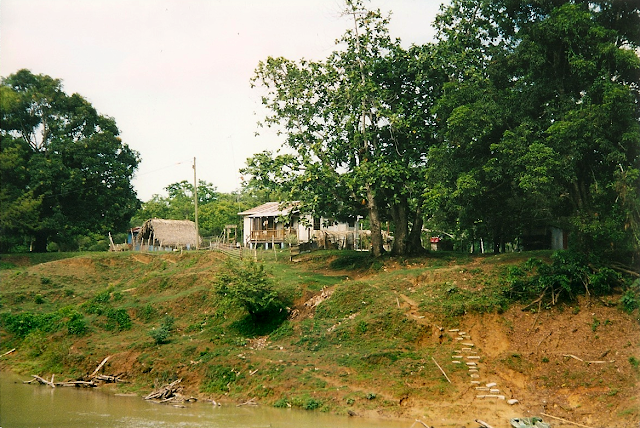 Here are some pictures from an incredible time in an incredible country. 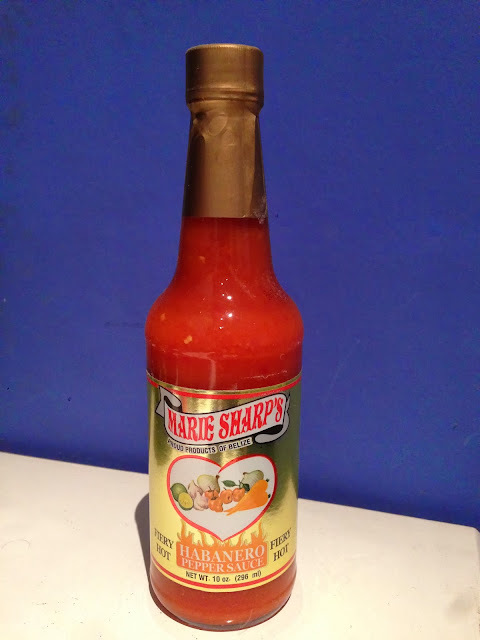 Next up, and another essential, is a habanero sauce. These have the rich, fruity flavours of habanero peppers and tend to be sizzlingly hot as well. However, peppers such as apricot chillies – a heatless habanero - can sometimes be used to get the great taste without the sting. Use for Caribbean dishes and tomato salsas. My examples come from the epic, and historic, Black's BBQ from Lockhart, Texas. If you find yourself down that way, drop in and meet Edgar Black, who served brisket to LBJ. 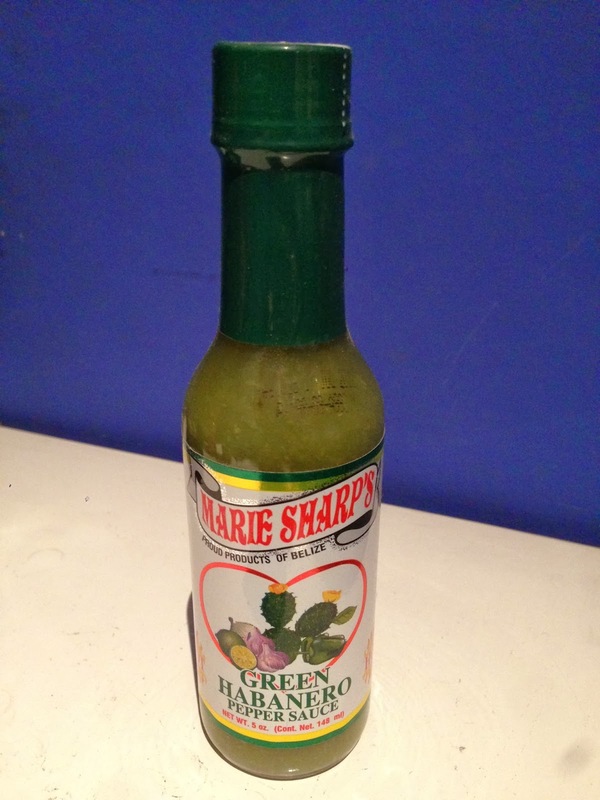 This stuff is also excellent as a condiment, or to make something like a spicy mayonnaise or ketchup. Chipotle sauces are another great touch. Chipotle peppers are regular jalapenos that are then dried and smoked, producing a rich, smoky favour coupled with searing heat. I think the best format for chipotle sauce is actually a chipotle paste, but sauces abound too. Tobasco do one (although see my slight reservations above) and most chilli pedlars will have something chipotle-based to entice as well. After all of the excess of yesterday, this is what you need to kick start boxing day. Squeeze the lemon wedge in the jug and discard / add to glass. Stir the contents of the jug like crazy until everything is properly combined and nice and cold. Strain into glass and drink. Hope you all had a good day yesterday, and good luck today. Homemade, for homemade mince pies, the way they should be (innit). Which goes to making GrubsterMummy's fantastic filo pastry mince pies. Unconventional, sure, but infinitely superior to their regular, pastry-heavy pie counterparts. Based round the back of Bank Tube Station, The Anthologist is an all-things-to-all-men bar, one of a whole host of other bars and pubs in the city that aim to cater to the causal drinker, the client luncher, the cocktail enthusiast, the bite-to-eat-between-meetings worker – in short, the majority of the chattering professional classes that make up the local working populace. I stopped in for lunch. I have drunk there in the evening, but only ever in a pint-after-work kind of way – sadly, because their cocktail list looks wicked. But I was in the are visiting a friend for lunch, and so suggested it. Lunch was spot of for what we wanted. Ben had the market fish, which came in a big basket full of battered bits of haddock, cod and salmon, on a mound of chips. I settled in to the Southern fried chicken burger. This was pretty epic – an entire chicken breast filleted and fried, stuck in a bun. As you can see, some thought evidently went into presentation. Ben's big basket was a sight to see, and my burger, served up in an army mess tin, was a playful piece of exhibition. I think presentation is important because it shows that the chef really likes his/her food and wants it to come out looking good and whetting your appetite. But it's also often a symptom that the joint is pretty mediocre – that perhaps the chef has tried to hide his/her shortcomings with a big song and a dance about how it looks. Fortunately, The Anthologist's chef falls into the first camp. The food was great, easily matching the lengths that had been gone to to make it look fun. Living so close to Brixton Village, you'd think I'd be in and out of there all the time. Oh, if only that were the way. It's home to so, so much that is wonderful in the way of food. Several outlets have started there and branched out to other joints, amongst the most notable of which is Honest Burgers. Frequently being named as the best burger in London, I felt that I just had to give it a try. Let's start at the beginning. The burger itself, the most important part, was juicy and rich, being cooked to absolute perfection. I went for the Honest Burgers – I feel it's always a good plan to go for the flagship product – which was the standard beef burger with the addition of cheddar cheese and bacon. What makes this more honest than any other cheese and bacon burger, I don’t know, but hell, I aint complaining. Oh, and there's red onion relish in there too. Nothing makes me more cross than the burger peddler who tells you he/she can't cook it any less than medium. That only says at least one, and probably both, of two things to me: (a) your burgers are frozen before cooking; and (b) you're not a confident enough chef to know where your food comes from. A grizzly, brown burger is not a thing to be enjoyed. A hot, pink, juicy burger is. Given the amount of blood, sorry, gravy, flowing from this, I think you can guess which one this was. Then on to the fries. Again, good. Thin enough to be crunchy – I'm no fan of the honest thick British chip with a burger, give me a French fry any day – but not so thin as to be nothing but crunch. They're seasoned with rosemary salt as well, which is a nice touch – albeit one that leaves them a little bit too reminiscent of roast tatties than burger fries for my liking. Also, and sadly ordered separately (and much, much too small a helping for the one quid required), was the mind-blowingly good chipotle mayo. I love a bit of chipotle, but most of the time you have something like this it's either witheringly hot or lost all of its smokiness. Neither was the case here, a real victory of condiments. Also on the side we had the beetroot and apple slaw. I love slaw. I love it with American food – mostly because the clean, fresh tastes break through all the rich, fatty foods. The Yanks are on to a good thing with slaw and burgers / BBQ, and Honest Burgers are onto a good thing with their version. This one is sweet and tangy, light and creamy, and somehow the perfect foil to the fatty patty and fries. All washed down with Brixton's finest brew: Reliance Pale Ale from Brixton Brewery. A brilliant drop and (like so many of its craft beer companions) ultra-hoppy, with all those fruit and flowery aromas, which really offsets friend food magnificently. Just a quick word about the setting too: It's magical. If you haven’t been down to Brixton Market / Village yet, go. Sure, it's all getting a little trendy, a little Shoreditch, but it's still wicked. Getting a half way decent martini these days is, sadly, not the easiest thing in the world. Too often there appears to be some confusion in the minds of enterprising barmen. For clarity, a martini does not contain apple juice. It is not garnished with a pineapple spear. It should never, ever, be set on fire and brought to your table where it can singe your eyebrows. Agent OO7 hasn’t helped either. Now there's hordes of folks out there who think that a martini is mixed with vodka. Heaven knows how – it's the dryness of the gin, offset by your own preference as to quantity of martini – that makes the drink. A cocktail of vodka and martini alone would, I fear, simply be... slippery? Next up was the Vesper, the drink that James Bond himself is supposed to have invented in Casino Royale. Finally given it's on-screen dues in the 2006 film of the book, the recipe first appeared in 1953. Sadly, the trend for serving drinks in deep champagne goblets is gone. But the drink itself is just as perfect as ever. Now, I was rude about the vodka martini earlier – and with good reason – but I recognise that my praise of the Vesper may therefore come over a little hypocritical, being how the Vesper is a 6:2:1 ratio of gin:vodka:vermouth (of sorts). But it's not. You see, the vodka does little more than take the edge off, and that's helpful – unless you like them ultra-dry, which I do, but not for every drink. Established in the early 'nineties, and remodelled earlier this year, it is a fantastic place to go drinking. Mockery of Bond above aside, you feel like some elegant secret agent or glamorous film-star in there. Without being over the top, it's decked out pretty smartly, with a mirrored art deco bar that fails spectacularly (thank goodness) to appear like gaudy vintage. Sure, it serves plenty of those vulgar fruity kinds of drink that we've come to imagine as martinis, but it also serves the original good stuff, done damn well. A couple of weekends ago I was summoned back home to clear out my old room. My parents have decided that it's high time it was redecorated, and that entailed me spending a weekend emptying it of a quarter of a century of stuff that I had managed to accumulate. The upside of this was that GrubsterMummy offered to make one of her epic Spanish lunches as compensation. It was difficult to refuse. Some few years back, when I was but a wee bairn, GrubsterMummy and GrubsterDaddy went to Barcelona for the weekend, leaving me with GrubsterGranny. The upside being that they came back complete converts to the Iberian way of cooking – and eating, too – resulting in a slowly developing retinue of Spanish-y tapas treats every time a big lunch has to be produced. We kicked off affairs with olives and piquillo peppers. The olives were from Tierra Verde, a little place up on Webbs Road, near Clapham / Battersea's notorious Northcote Road, that opened up not so long ago peddling a fantastic selection of Spanish deli treats. Well worth a try – especially good if you can grab the table (the one and only table) and settle in for an evening of cheese, ham and wine. Piquillo peppers, for the uninitiated, are a kind of sweet, heatless chilli pepper with an intense, fruity flavour that are just mind blowing. Not cheap, but you don’t need many of them, given their flavour. Then it was on to meats, cheese and tomato bread. A staple of any Spanish meal. The tomato bread is as easy peasy as it is a classic. Just toast a bit of ciabatta (or any bread, really) under the grill then rub it with a raw garlic clove then a raw, halved tomato. Drizzle with olive oil and plate up. We also had some treats ready-made Spanish treats, including chickpeas and salt cod (barcelona's infamous bacalao) and some butter beans. GrubsterMummy worked her magic on the beans, stewing them with tomato and garlic into another great little tapa. After all that, who needs a main course? Obviously, we did. A quick tortilla followed. To polish it all off, torrone, a kind of hard, brittle Spanish nougat. Oh, and what's that lurking in the background, eh? A glass of Pedro Ximénez, a kind of ultra-sweet, treacly sherry made from PX grapes that have been allowed to dry in the dry, hot Spanish sun, concentrating the flavours. A fantastic meal. But then, what would I expect from GrubsterMummy, who is a truly magnificent chef and who is responsible for all of my interest in food. PS – After lunch had ended, I went back to clearing my room, and what should I find? Or, rather, who did i find? Edward, that's who – my old bear. Happy days indeed.